A well-planned kitchen island provides practical benefits while enhancing the room’s beauty. Both the form and function of the island are important considerations in its design. 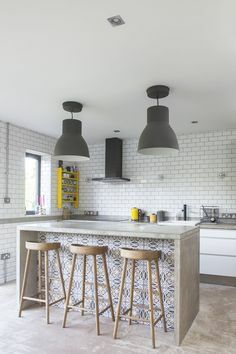 Interior designers are in nearly unanimous agreement that adding an island to your kitchen design provides the best return on investment in practical terms and in the value of your home. What elements do you want in your kitchen island design? These are just a few of the many functional options you have. 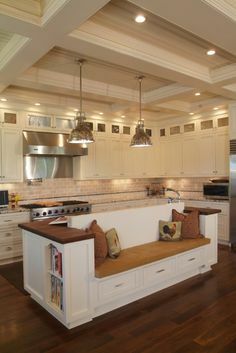 Of course, the space available and the kitchen layout will influence the design you choose. 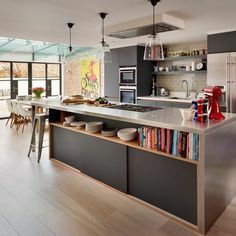 Our kitchen island guides are designed to assist you in the planning process, so that the island you select will enhance your enjoyment of the kitchen, a room that is the hub of activity and interaction in many households. 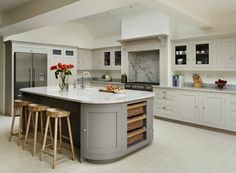 The Kitchen Island Buying Guide explores the range of purposes that islands serve, what types of islands are available, design considerations and FAQ. 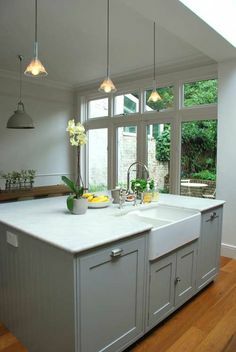 The Kitchen Island Guide for Removal and Installation includes DIY tips on these important topics along with useful information to assist you in discussing your requirements with a kitchen remodeling contractor. Our Kitchen Remodeling Cost page gives price ranges for islands, countertops, flooring, cabinets and other kitchen elements. 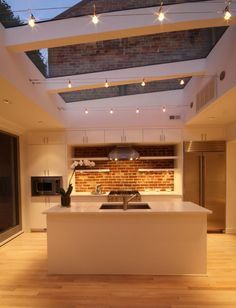 The information assists you in budgeting and allocating funds for the various components of your kitchen design. We’ve created sets of guides for all the major components of your kitchen remodeling project including countertops, backsplashes, flooring, cabinets, sinks and faucets. The comprehensive and useful information includes kitchen remodeling prices for every component, your material options with pros & cons for each and much, much more. These guides allow you to research your options while comparing them head to head in all the important aspects.